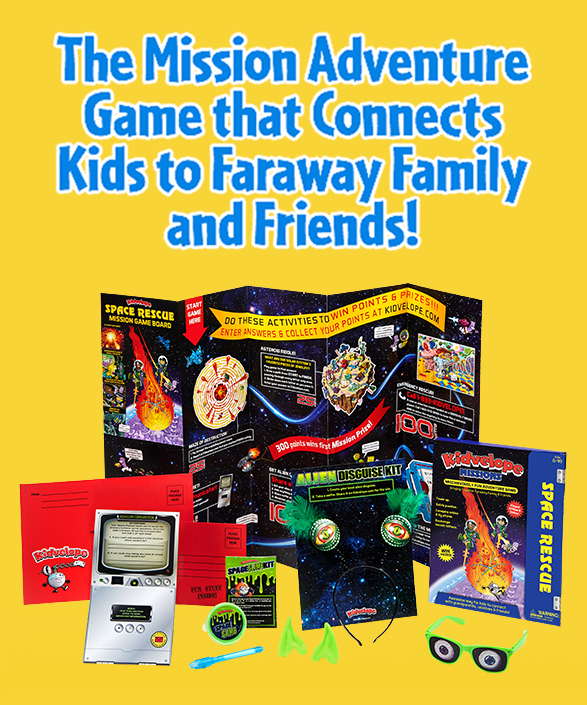 The mission adventure game that connects kids to faraway family & friends. Starts with an activity kit. 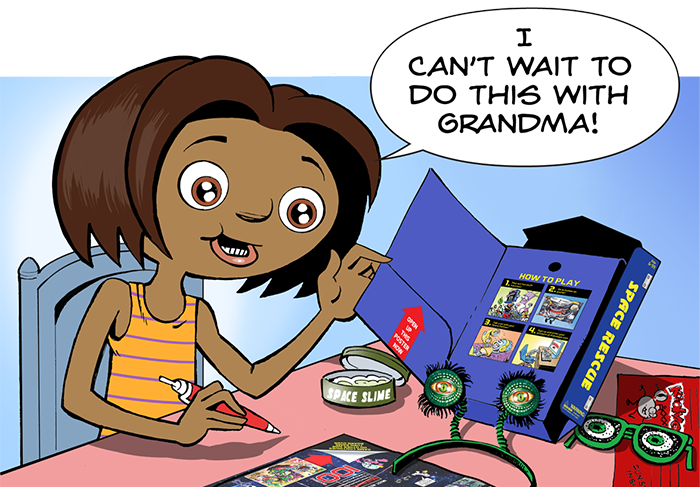 Kids team up & bond with faraway grandparents, parents, others. Play offline & online. 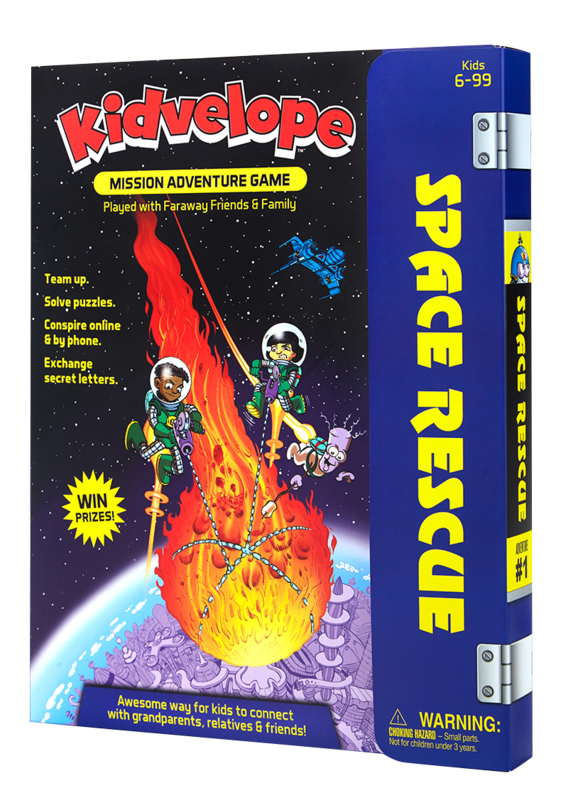 Features gameboard & fun creative items to solve mission challenges! 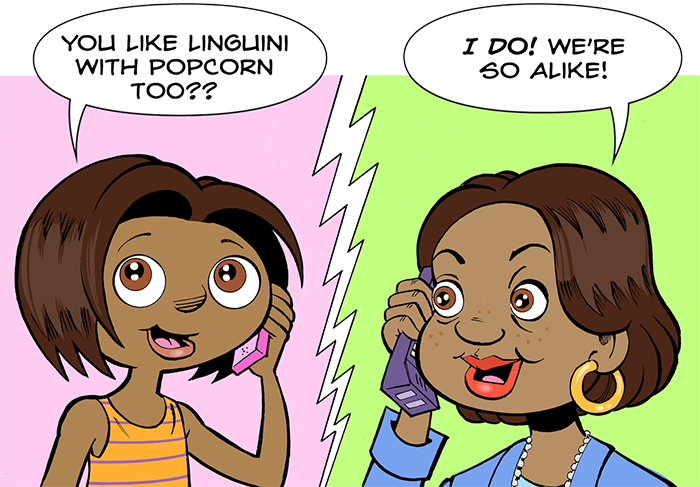 Together do online activities, exchange mail, talk on the phone. Learn things about each other. STEP 3: SCORE POINTS & WIN PRIZES! 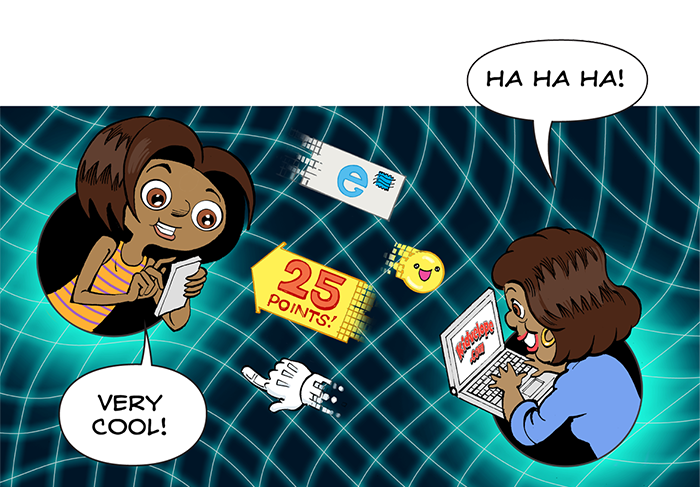 The more challenges solved, the more points & prizes earned! Each themed activity kit is loaded with goodies that send kids on their missions. Inspires CREATIVITY & IMAGINATION. Sparks COMMUNICATION & PROBLEM-SOLVING skills. Designed to bring kids (6-11) & grown-ups closer together -- both learning & sharing new things about each other. Did we mention? Kidvelope is fun & educational too! Media and family product experts agree: Kidvelope is special. 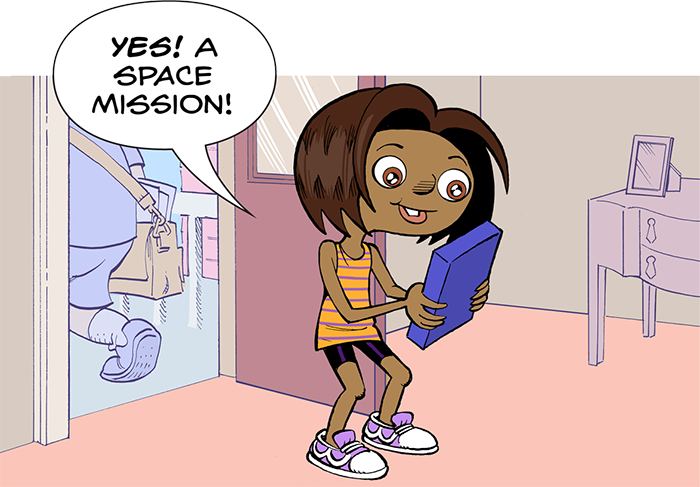 Our Space Rescue mission is shipping now! For kids 6-11.